Dr. Tom Butkiewicz’s academic, corporate business, military experience collectively span over 25+ years. He is a contributing faculty member in the Ph.D. Management program, College of Management and Technology at Walden University. His experience includes the dissertation chair, second committee member, university research reviewer, and lead faculty for doctoral capstone courses. Dr. Butkiewicz also presented research methods and designs at residencies and a professional breakout session at a National Faculty Meeting. He served as a reviewer for the International Journal of Applied Management and Technology and functioned as a committee member on the Curriculum and Academic Policy Committee. Dr. Butkiewicz’s research interests are management, leadership, organizational behavior, and business strategy for outcomes of positive social change. His initial research comprised of examining first-line managers’ leadership practices, emotional intelligence, and workplace spirituality in the manufacturing industry. Dr. Butkiewicz contributed a chapter in two books. He presented at numerous executive manufacturing conferences throughout the United States. Dr. Butkiewicz honorably served 20 years in the United States Marine Corps Reserve and retired as an operations officer. 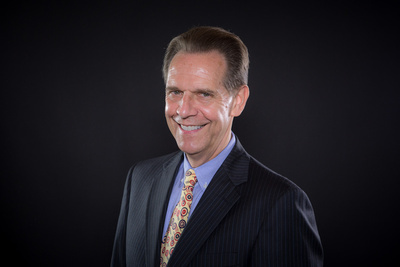 His leadership experience illuminates by being an internationally certified leadership speaker, coach, and trainer inducted into the Whitehead Leadership Society. McCollum, W. R., Butkiewicz, T. E. (2014). Chapter 9: Best Practices and Tools to Help Mentors and Doctoral Learners Navigate the Dissertation Process. How to Use Emotional Intelligence, Cultural, and Spiritual Intelligence to Mentor Doctoral Learners. Butkiewicz, T. E., McCollum, W. R. (2018). Mentoring With Emotional Intelligence for Student Progress, Retention, and Positive Social Change. Walden University.